SAP, the leader in Back office software solutions has been pondering of ways to get into front office segment for a while. The company tried to achieve that by unveiling the Web Channel Experience Management a few years back. It met with limited success and led to acquisition of hybris by the company. Now, Hybris offers unified commerce processes, context driven marketing tools and customer data management as part of SAP. Their commerce platform has support for omnichannel digital efforts and it integrates all physical and digital customer touch points in a unified platform. This includes plateaus like web, mobile, print, social media and more. The allied SAP Cloud for Customer solutions and SAP hybris Commerce Suite enable services, marketing and sales segments of both B2C and B2B entities to offer clients enhanced experience. Hybris is adding to the front office suite a SAP hybris Marketing solution. This can be dubbed as hybris’s strategic central component for better customer engagement and commerce range of services and products. It can be effectively used in industries like banking and finance, insurance, FMCG, retail, healthcare and many more. This offering utilizes real-time contextual information to update 360-degree profile of prospective and identified customers constantly. This profile covers things a customer has done, is likely to do in future and things catching his/her interest with respect to time. However, it is not only hybris Marketing solution deserves attention. The spotlight is also on YaaS- hybris as a Service. YaaS is one type of front-office business platform which runs on CloudFoundry PaaS technology. With YaaS, developing custom applications fast that mix SAP Hybris solutions with a company’s existing platform is easy. It also makes creating apps with useful features simpler, without exceeding budget. YaaS is also useful for the developers as they can make new applications and extend existing ones way faster. With it, customers and partners get the functionality to develop and tweak ecommerce solutions in open PaaS environment. It also integrates with core CEC portfolio. Brian Walker, the hybris Chief Strategy Officer said hybris will run on total PaaS architecture. 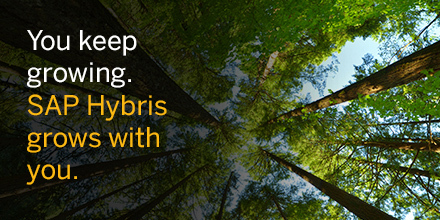 SAP’s core technology may undergo a sea change after adoption of hybris technologies. Typical Sap tools have often been described as expensive and difficult- both from integration and customization angles. The fact is hybris is ‘open’ with language-independent customization features and lightweight, RESTful APIs. Customizing enterprise software setup has always been tedious for large organizations, leading to setbacks. Brands in ecommerce business require customization to make their offering stand out. The customization should cover core functionality- not just a visual change. YaaS deals with CloudFoundry PaaS environment and so offers SAP a place to revamp customization handling process. One major aspect of the hybris development is called SAP HANA. HANA is the in-memory RDBMS used by SAP. SAP is set to transform with aid of HANA. While the company says HANA is a vital part of dynamic customer profile, customers may actually run the Marketing solution with a separate database. However, HANA is embedded into the solution with no need for separate licensing. HANA represents a major shift in approach for the company. It is their means to access real-time data and given the fact hybris paves way to real-time data solution- the blending is natural. It is yet to be seen if CloudFoundry is used across the entire product suite of SAP or not. CloudFoundry is still to reach the level of maturity that SAP’s flagship software has. HANA is in a position to be used for mission critical enterprise projects. The companies using SAP solutions for years swear by its efficacy.